As today is European Day of Languages, what better time to let people know of some of the fantastic services offered by the University’s English Language Support Service. The English Language Support Service offers a range of high quality English language support to home and international students who are already studying at university, as well as to international students who wish to study at Loughborough University. They offer a broad range of workshops throughout term time, as well as online courses and support available via the Library’s own ‘Get the Know How: Skills to Succeed’ Learn module LBA001. The European Day of Languages is the result of the success of the European Year of Languages hosted in 2001, jointly organised by the Council of Europe and the European Union, was successful in involving millions of people across 45 participating countries. Its activities celebrated linguistic diversity in Europe and promoted language learning. The Council of Europe subsequently declared a European Day of Languages to be celebrated on 26th of September each year. Alerting the public to the importance of language learning and diversifying the range of languages learnt in order to increase plurilingualism and intercultural understanding. To find out more, visit the campaign’s website here. The British Library have joined forces with the European Union’s largest historical database to help compile Europeana 1914-1918, the most important pan-European collection of original First World War source material. The personal papers and memorabilia of some 8,000 people involved in the war, held by their families and digitised at special events in 12 countries. The British Library is leading the UK’s contribution to the project, and has contributed 10,000 items from its own WW1 collections to the site, including trench journals from foreign troops, iconic war poetry, London schoolchildren’s accounts of Zeppelin raids and many more. The British Library has also produced a new website offering curated access to over 500 digitised historical sources from Europeana 1914-1918, including over 50 newly-commissioned articles written by leading historians. Students of European culture and history will find themselves in their element by visiting Europeana, a database that provides a doorway to the digital resources of Europe’s museums, libraries and archives. Here you can access books & manuscripts, art works, photography and audio-visual recordings among an archive containing over 30 million items – and rising! And as the centenary of World War One approaches next year, over 56,000 images and scans have already come into Europeana, creating a virtual memory bank that reflects all perspectives on the conflict. 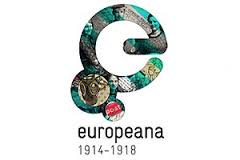 Europeana is funded by the European Commission and the Ministries of Culture of 21 European member states. 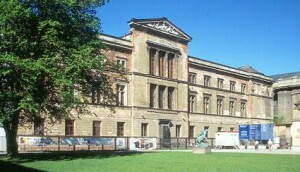 Over 2,300 institutions have contributed to Europeana, including the British Library, the Rijksmuseum in Amsterdam and the Kunsthistorisches Museum in Vienna. For further information, visit www.europeana.eu. 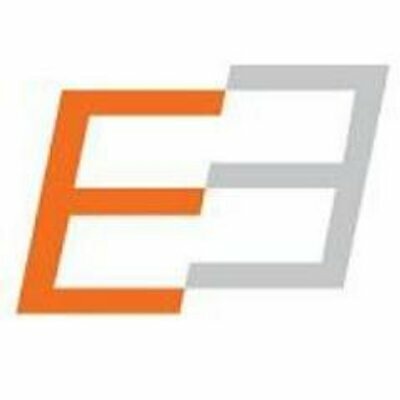 European Sources Online, the electronic added value European information service from the Cardiff EDC, is now freely available for anyone to access from anywhere all. The ESO helps users to find information on the European Union, the countries of Europe and on issues of concern to European citizens, researchers and stakeholders. The ESO is updated daily. RAPID Press Releases and news sources are added on the day of publication (click on Latest Updates from the homepage). An email alert service is also offered as well as RSS feeds. Radar, the University’s contemporary arts programme, gets the new term under way with a new European-themed project running throughout October which will interest artists and students of European history and politics alike. ‘Welcome to European Union’ is an exhibition of photography, video and works on paper which examines the transformations that have taken place in the newly created borderland areas between Narva in Estonia and Ivangorod in Russia. As new EU lines have been drawn on a map the public spaces ‘inbetween’ the borderlands are contested and new rules and regulations applied, redefining the physical and social boundaries, and reshaping communities. It’s been developed as an interdisciplinary cultural project by the sociologist Alena Pfoser and artist Eva Engelbert, with participation and contributions from the photoclub ‘Narva’, Estonia, and opens tomorrow (Tuesday 8th October) daily between 10AM-4PM in the LUA Project Space in the Edward Barnsley Building (next to the Cope Auditorium in the campus’s East Park) and runs through until Friday 25th October. Admission is free. Accompanying the exhibition on Friday 18th October, also at the LUA Project Space, is a day-long symposium of presentations and discussion, European Borderscapes, exploring the reconfiguration of European borders after the fall of the Iron Curtain and Eastern enlargement, and how rather than dissolving, the number of borders has multiplied and become more differentiated. Alena Pfoser has programmed the event in collaboration with the CulCom Research Group and has been financially supported by Radar, the Graduate School Research Culture Fund and Loughborough University’s Department of Social Sciences. This event is also free, but booking is required via this link. For further information, visit the Loughborough University Arts page here. The Nobel Peace Prize was awarded to the European Union in recognition for its work in keeping peace on the continent over the last 60 years. 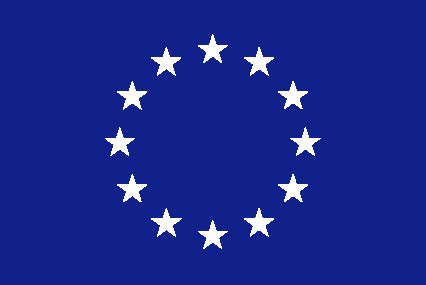 Founded in 1952 in the aftermath of World War 2, the European Union initially comprised of six nations, headed by France and Germany, under the less-catchier umbrella title of ‘The European Coal and Steel Community’. Today, in its present form, membership currently numbers 27 countries, including Great Britain, which finally joined in 1973. While there has been much debate of late over the effectiveness of the EU, particularly in respect to the Eurozone Crisis which is presently plaguing its member states, the award of the prize reflects the many significant advances made within the Union in terms of diplomacy and reconciliation between formerly historic and traditional enemies, as well as its work on helping improving democracy and human rights not just in Europe, but across the rest of the globe as well. The Library is an accredited European Documentation Centre and contains a vast store of information about the European Union among our shelves. There’s also a wide variety of free leaflets for you to take home from our display next to the Level 2 Information Desk. Why not have a browse next time you’re down there? The EU: what’s in it for me? You’ll also find our popular, up-to-date leaflet on travelling in Europe and one for job-seekers. Feel free to take whatever you need (and ask for more if it’s empty!). The Library also houses a European Documentation Centre (EDC) – an extensive collection of publications and documents of the EU. Click here for more information. The Neues Museum in Berlin is the winner of the 2011 European Union Prize for Contemporary Architecture / Mies van der Rohe Award, the European Commission announced this week. The building is a reconstruction, blending old and new, by the British architect Sir David Chipperfield. The original Neues Museum, designed by Friedrich August Stüler, was built in the mid-19th century. The building was severely damaged in the Second World War and reconstruction began in 2003, with the aim of restoring the site to its former glory. Launched in 1987, the European Union Prize for Contemporary Architecture / Mies van der Rohe Award is presented every other year. The Prize is supported by the European Commission in the framework of its Culture Programme and by the Mies van der Rohe Foundation. The winners were chosen from 343 submitted works in 33 European countries. Six works were shortlisted for the main award. The other finalists were: Bronks Youth Theatre (Brussels, Belgium); MAXXI: Museum of XXI Century Arts (Rome, Italy); Concert House Danish Radio (Copenhagen, Denmark); Acropolis Museum (Athens, Greece) and Rehabilitation Centre Groot Klimmendaal (Arnhem, The Netherlands). The award ceremony will take place on 20 June at the Mies van der Rohe Pavilion in Barcelona. To find out more about the award and the ceremony why not visit the Europa website here. The library has access to a wide variety of databases concerning the subject of architecture and civil engineering on Metalib. Why not have a browse?